Dinosaur Jr. are hosting a rock camp this summer. 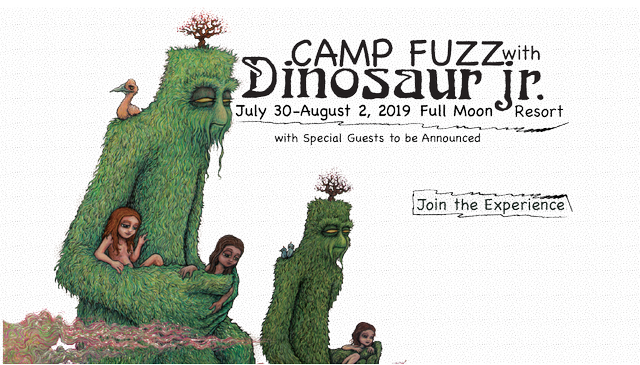 The band has just announced that they’ll be running a three-day music event called Camp Fuzz, which will feature instructional sessions with the band members and select special guests as well as performances. Programming includes “Pedals & Guitar style with J Mascis,” “Drum Workshop with Murph,” and “4-string Guitar & Ukulele Clinic with Lou.” It takes place at the Full Moon Resort in upstate New York, which also hosts other similar camps. Tickets and more information about the event can be found here. Looks like just a tent costs $1000+ … Hmm, have fun! This article originally appeared on Stereogum.